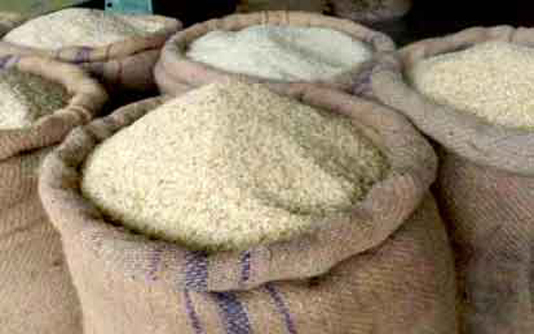 Rice price in Rajshahi’s retail markets is now on a downtrend following the government’s launching of “Food Friendly Programme” to control hiking of rice price. Within a gap of only one month, rice price has been declined by Taka three to four per kilogram in the metropolis and its adjacent areas. While visiting some retail markets in the city and its outskirts on Thursday and Friday this reporter found the declining trend of the rice price. Jubayer Hossain, a retailer of Naohata Bazar under Paba upazila, said rice price has been declined by Taka 100 to 150 per mound with a gap of one month. Price of coarse rice has also been reduced by Taka three to four per kilogram and the price will go down further, he added. Meanwhile, poor and extreme poor people of the division are very happy after getting quality rice at Taka 10 per kilogram under the government’s “Food Friendly Programme”. “We are getting quality rice this time without facing any irregularities,” said Abu Bakkar, an elderly man, who came to purchase rice at Pirijpur crossing under Godagari upazila. Another beneficiary Hazrat Ali, who came to buy rice at Bornaly crossing, said the quality of rice is very good and this type of rice is being sold at least Taka 50 per kilograms in the markets. Md Muniruzzaman, president of Rajshahi Chamber of Commerce and Industry, said poor and low-income group people were seen in long queues at all selling points to purchase rice. Meanwhile, more than 7.73 lakh extreme poor families in all eight districts under Rajshahi division are getting rice at a rate of Taka 10 per kilogram (kg) since early September last. The selected card holders will get 30 kilograms of rice in every month through village ration dealers at a rate of Taka 10 per kg under the “Food Friendly Programme”. The government wants to provide food support to the extreme poor families during the crisis period so that they do not suffer. The food controller also said that the rice selling programme at Taka 10 per kg will continue for three months from September to November. The months have been selected in view of non-availability of work for the day labourers, he added. He, however, vowed to take punitive measures against those who will engage in any irregularities during the programme.